With Electra OHB System develops an advanced electrically powered telecommunications satellite in the sub-three-ton weight class. Such a system has previously not been available commercially in Europe. To date, electric propulsion systems have only been used in research satellites or for orbit maintenance for telecommunications satellites. Artemis, a communications satellite operated by ESA, successfully tested the concept of using solely electric propulsion to achieve a geostationary orbit for the first time. The results showed that electric propulsion systems reduce propellant mass requirements by up to 90 percent compared with chemical propulsion systems. Consequently, it is possible to reduce the launch mass of the satellite by almost half. Electra is now to be used to systematically broaden the scope for implementing this technology in a specially designed satellite system. Electra is a public-private partnership under the ESA ARTES 33 program serving the purpose of providing the satellite communications industry with innovative products and systems. The project initially entails the platform development which in a further step is to lead to a joint mission with industrial project partner SES. As one of the world’s largest satellite operators, this company has a keen interest in encouraging competition in the selection of launch vehicles in order to achieve additional savings. With this contract, OHB System is tapping a substantially larger area of business in commercial telecommunications and adding an innovative new propulsion system design to its SmallGEO range. 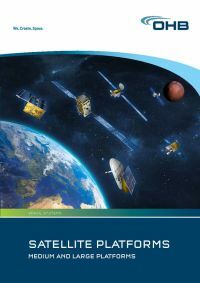 After successful completion of the preliminary platform design in Phase B1 in 2015, ESA, SES and OHB signed the Electra Phase B2/C/D/E1 contract for the realization of the first full-electrical satellite built by OHB System AG. The mission of the first Electra satellite will be defined later. Launch is scheduled for 2021.